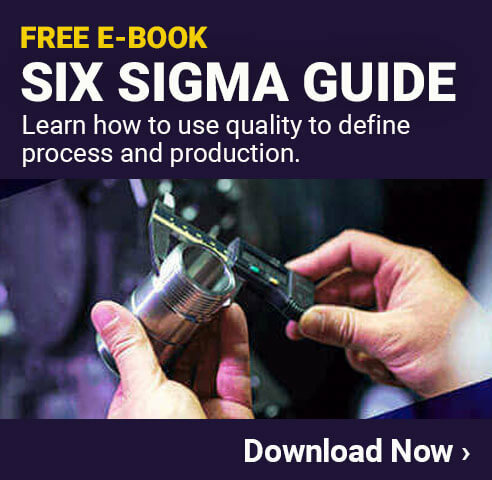 Lean and Six Sigma, often used together, are two tried and true methodologies for identifying problems in a process and, to an extent, working to correct those problems as well. 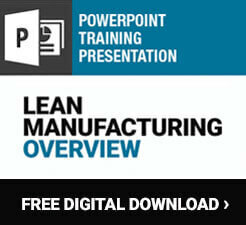 Indeed, Lean is touted under the banner of “continual improvement” more often than not. Of course, continual improvement means making changes for the better, but does that make Lean, or Six Sigma for that matter, a change management system? After all, there’s more to successful change that the initial course of action. Leave it to the members of a LSS group on LinkedIn to turn such a question into a lively debate, which is exactly what we’re looking into today. Overall, posters were generally of the opinion that Lean/Six Sigma thinking did not necessarily comprise a change management system. That said, elements of such a system are definitely embedded in LSS methodology, and there are many cases in which the strategies of LSS could contribute (largely) to a change management system. While the name may make it seemingly self-explanatory, a change management system is about more than simply implementing changes. Done right, such a system should take into account all factors that come into play when changing processes, policies, and more, and be able to address them within the proper contexts. These contexts can be but are not limited to your specific work culture, interactions between people within the work place, physical layout of work place, industry standard specifics, and more. User Aniruddha Sahasrabudhe offers up some clarity of definition by laying out five key factors to any sort of successful change management effort. They are vision, skills, incentives, resources, and an action plan. These criteria do a good job of encompassing the overall needs of change management, so let’s take a quick look at each one in depth. Vision: Vision means a clear goal; your aims are defined from the outset and have a purpose. You vision(s) should be easily shareable with other people. Skills: You’ll need the technical skills, either yourself or through an improvement team, to carry out your vision. These skills should be specifically tailored to each project, and as such will vary. Resources: Time, money, and in some cases materials will all factor into the resources for your project. Making sure you have all of these things together before you start on any change implementation will help you avoid unnecessary hang-ups along the way. Action Plan: All of the above factors will come together more naturally once you’re put together an action plan. An action plan should be detailed, and should layout exactly what will happen when, along with the requirements (skills and resources, anyone?) needed for each step to be brought to completion. An action plan should also account for follow-through after the fact, to ensure that the after-effects of an alteration are maintained and stay on track. Now that we have a bit of a framework as to what actually constitutes a good change management system, we can more easily overlay Lean/Six Sigma and see if they fit the bill. Does Lean Six Sigma Facilitate These 5 Things? As far as vision is concerned, Lean and Six Sigma probably both get to pass here simply due to the fact that they are results driven and have very clearly pre-defined purposes. For Lean that’s to reduce waste and for Six Sigma it’s to reduce variability. The limitation here, however, is that all of the tools within each are designed with the purpose of meeting those specific goals. Therefor saying that they possess the capacity to facilitate “vision” may be a bit of an exaggeration, seeing as they have a fairly narrow scope and a broader or just plain different vision of what needs to be accomplished might be more appropriate in some cases. This one’s a bit of a wash, as skills available are going to vary from person to person, and aren’t really a result of the change management tool used. If anything, LSS scores low here because many of the skills required to be successful with them are fairly specific, involved, and not easily accessible. Incentives for employees are implied by the increase in efficiency to a company provided by LSS projects/improvement, but not explicitly stated. For workers themselves, these derived benefits that actually affect them personally will come from what you as the change coordinator decides to do once the results are in. The good thing about most LSS projects, stemming from the fact that they are intended to reduce waste, and by extension materials and time involved, is that managing resources is usually fairly simple because you don’t need many. When working through Lean projects, most strategies are minimally invasive, and won’t require a lot of resource investment, so that’s a good thing. Tools within LSS, particularly Six Sigma’s DMAIC framework, may work to help put together part of an action plan, but that’s about it. Individual tools within LSS vary in their usage of any discernible action plan framework, so it’s hit or miss at best on this one. In the end, it becomes apparent that while LSS may be a vital piece of positive change in the workplace, it might not fully fit the job description as a “change management” tool. I’m inclined to agree with the LinkedIn group members in that Lean/Six Sigma are more components of an overall change management tool or plan, rather than an all-encompassing plan themselves. While there are surely programs out there, most of a good change management system is going to come from your ability to bust out your organizational skills and make sure all of your bases are covered from the outset of a project.